This month surely finds us planning our summer and looking forward to many outdoor activities. When we give or express life we increase our capacity for living. When we express wisdom, we grow wiser. When we love, we increase our consciousness of love. When we are joyous, we increase our joy. When we exercise our strength, we grow stronger. Our labors and our experiences in the material world should help us to increase our inner, spiritual resources. These include life, love, wisdom, strength and other attributes of the spiritual person. They grow and expand by proper use, which proper use is the pouring-out process. Spiritual riches have been given to every man and woman by our God, abundantly; and as we prayerfully pour out these gifts, even though at first they seem to be small, they will surely become great through faith and work. Their possible greatness will only be limited by capacity of the vessels we have provided to hold them. We can discover the limitless nature of the blessings that God has given us when we draw freely upon them by pouring them out. We can pour them out with such faith and love that we shall inspire others with the desire to pass their blessings along also. These gifts of God are limited only by a person’s capacity to express them or pour them out. We can supply our needs for other things by first drawing on the oil of Spirit from within. This in turn will bring the money that we need. The one who learns to pour out this inner substance which God has given them will lack for no good thing in the world. Let us not despair because we may seem to have little to draw upon. Rather let us look within and rejoice in the abundance that God has given us in Spirit, and then let us fearlessly give forth what we find in our house. 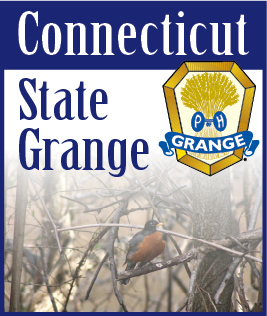 Let me close by reminding you of the Grange Sunday Service in Glastonbury at Good Will Grange Hall, 43 Naubuc Ave., on June 14th at 11:00 A.M. Wishing you a wonderful summer!